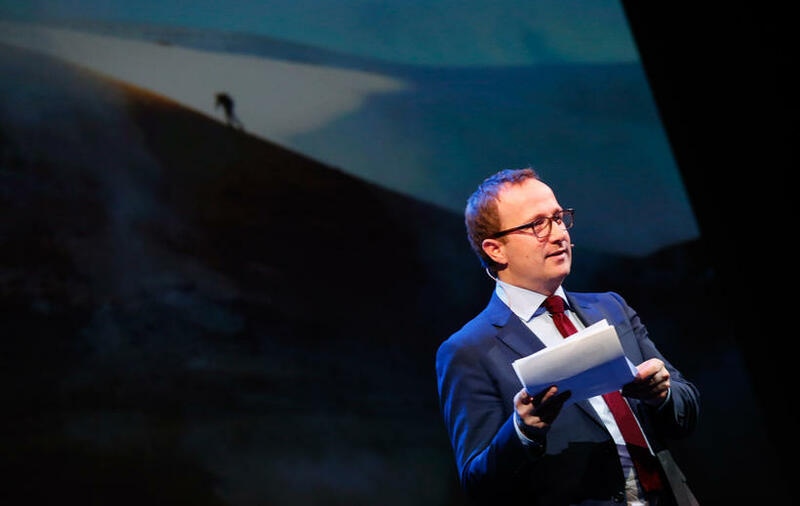 Writer and environmentalist Andri Snær Magnason announced his candidature for President of Iceland in front of a jam-packed National Theatre this afternoon in Reykjavik. He spoke of the importance of a highland national park, a new constitution and the importance of culture. He also spoke of the importance of the Icelandic language as well as welcoming those with another native tongue to Iceland, but said that a President of Iceland should not be concerned with day to day politics. "Instead a President should put forward a strong vision in the matters that are most important." Amongst those present in the crowd were Pirate captain Birgitta Jónsdóttir and Mayor Dagur B. Eggertsson. In his speech Magnason said that environmental issues were the biggest challenge of the 21st century. "A highland national park in Iceland is one of the ideas which we can make into a reality," he said to laud applause. Asked by a journalist from mbl.is why he chose today to announce his candidature and whether recent events in Iceland had influenced his decision, he revealed that he had already decided to announce his decision, "At a worse date," referring to last week. He added, when questioned what he would have done as President in light of last week's events that "I could not have made a decision without good council from advisors and specialists. This is one reason why we need a new constitution, the role of the Icelandic President is unclear."